Leadership development consulting careers involve helping corporations and public institutions like schools and hospitals to select, train and develop talent for their organizations. As a leadership development consultant, you get to help the client run their interview and hiring process, select their future employees and coach their staff to become the best that they can be. Today’s guest, leadership consultant Mike Lubelfeld, tells us why this is such an interesting, rewarding path. Mike explains that a variety of ages and backgrounds can succeed on the leadership development path – the common thread is the interest in the selection and development of talent. People with great communication skills can really thrive as consultants and trainers. As leadership consulting firms depend on research and analytics to perfect the talent selection process for their clients, there are also opportunities for the more introverted who have scientific and statistics backgrounds. Mike’s background is interesting in that he has 2 careers! 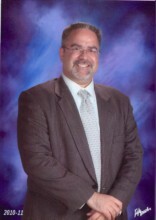 In addition to being a leadership development consultant, his main job is a leadership role as a school superintendent. He recently spoke to us about becoming a school administrator. Like so many paths, Mike says that internships are a great way to get a feel for the leadership development consulting path. He says that many of the good consulting organizations offer hands-on internships. Because so many backgrounds can thrive in this path, there is no particular college major that is necessary. Those making a career change to become a leadership consultant might be coming from HR or personnel backgrounds, leadership roles like Mike’s, marketing, management or a recruiting background like mine. Mike says the key to success is to believe in what you’re consulting about or training in! Careers Out There Host Marc Luber: Hey everyone welcome to Careers Out There. I’m your host Marc Luber and we’re helping you find a career that fits you. Today we’re looking at leadership development consulting careers and our guest is consultant Mike Lubelfeld. Let’s see if Mike can make leaders out of all of us – stick around! [theme song] OK – we’re back – Mike – welcome to Careers Out There. Leadership Development Consultant Mike Lubelfeld: Hey it’s great to be here Marc, thanks for having me. Host Marc Luber: Definitely. Thanks for being here. You guys – if Mike looks familiar, that’s because he was on the show recently on an interview about education administration careers – because Mike is also a superintendent of the Pennoyer school district in the Chicago area. So Mike, have you switched careers since our last interview? Leadership Development Consultant Mike Lubelfeld: No, no, I can’t say that I’ve switched careers. I’ve been a senior educational consultant and leadership consultant for about 3 years now, working for a leadership and selection company based in Lincoln, Nebraska. Luber: Wow – so I definitely want to circle back to the idea of having 2 careers running at the same time because I think that’s a really interesting theme that I want to get back to. But let’s dive more in to the leadership consulting path itself. Tell us what do you do as a leadership consultant? What happens in this role? Mike Lubelfeld: Alright. This role is actually really fascinating, Marc. I work with school administrators and I help them select teachers. I help them select support staff employees. I help them select administrators. We look at the selection process – how do they recruit candidates and applicants. What do they do once they have a pool of applicants? When they start to bring people in, what are they looking for? What are the attributes they’re looking for? And then once we have them in, how do we maximize their impact on the organization? Luber: Interesting. So it’s very recruiting-related. Mike Lubelfeld: Absolutely. It starts with the recruiting and then it continues throughout the whole selection process. Luber: Huh! I spent several years as a recruiter, which I’ve talked about on the site, so I find it really interesting to hear about this because as a recruiter I didn’t even know that this path was in existence. So tell us more – how do you consult and who do you consult? Mike Lubelfeld: Alright. Well many years ago, in a different role than I had in educational administration, I received some training on how to do a better job on selecting teachers at that time. I became fascinated with the research and I became fascinated with the industry, honestly. I pursued relationships with some of the senior associates at that time. I asked them a lot of questions similar to what we’re doing today. “How did you conduct the research, what was the research on, what are you doing with all this?” And one thing led to another, I conducted several projects, worked on several projects, then I began apprentice training and then I started training across the Midwest. Luber: And when you’re talking about research, what is the research about? What’s it saying? Mike Lubelfeld: Well the research says that if you ask a certain set of questions in order, like a syntax if you will, over and over and over again if you have the same conditions for all applicants and then you observe their work, their behaviors, you can draw correlations to what you were thinking you were going to see in the interview, for example, what you predicted they’d do – what they’d be like, and then you check and see were they like that? You check with their managers and their supervisors and over a period of 1, 2, 3, 4 plus years, you draw correlations and you tweak the questions and you tweak the process. In doing so, in that whole process, you find out how can you help people be even better by looking at what you thought they would do from the interview questions. And it’s a whole cyclical process that goes on. Luber: OK, so let me make sure I’m getting this right. You’re helping people – you’re studying everything that they’re doing as far as the intake of new employees from how that potential employee spoke in the interview and then basically did they deliver the kind of stuff they said in the interview once they were hired? Luber: OK. And then studying the intricacies of what was different and then how you can tweak the questions asked in the interview to avoid those problems so that you don’t have a fit of a employee that matches what the promises were in the interview? Mike Lubelfeld: Absolutely. And also adding to that a little bit, if I may, what you see in their actual performance if it is consistent with what you predicted, you didn’t predict they would be great at everything. So what you predicted they might be lacking, if you’re actually seeing that they’re lacking it you can identify it with some concrete examples and help support them through a development plan to get better at that. Luber: Wow. And so then as you do this and you tweak the questions and you tweak the approach of the hiring side, you end up with better candidates, better employees, and a stronger team? Mike Lubelfeld: Absolutely. You continue to select people who are better and better and demonstrate that they understand what the top quality is for whatever your organization – whether it’s a school, which of course I’m most familiar with based on my day job and my full time career or if it’s a private corporation in sales or if it’s a private corporation management or if it’s a different public sector operation like a hospital or some other public sector group. Luber: Huh! And what are the metrics used to determine who is really rising through the ranks based on the research that had been done in the interview process? Mike Lubelfeld: Well some of that is proprietary and confidential of course, so those are company trade secrets. But what I can share with you is the company I work for and the other big companies who do this type of selection and talent development, they have certain science behind it and they have studied various characteristics or attributes of what make people tick and what make people really good at whatever their industry and role is and they test it over and over and over again. And they do field studies across the country so they make sure that it’s not just because you’re in an urban area or a suburban area or a rural area or a larger or small company. They do it so it equalizes the whole playing field with respect to this process. Luber: That’s really cool! Can you walk us through an example of something that you saw from the beginning all the way through to the end where they’ve seen results so that we can see a real life scenario? Mike Lubelfeld: Sure. Oh absolutely – I can give you a real example from the last school district where I worked. We were facing over a period of 4 years the replacement of about 50% of the teaching force. 50% of the workforce due to retirements – very natural in this industry. And to deal with that what we did is we put into place a structured selection process which had a number of steps – everybody in the organization understood it, was trained, learned about it, was certified in how to do it. To give you a concrete example, let’s say you get 100 applicants for a particular job. Well anybody that’s gonna go through 100 stacks of papers or 100 online files will be overwhelmed with that data. So we used – part of this as a screening instrument where we screen in let’s just say the top 10 or 20%, so you take your 100 and can break it down to 10 or 20. From that 10 or 20, you can really look closely at where is their education, where is their experience, what are some like characteristics. We then take about from 5-8 of that 10 or 20 and we run them through a structured interview of very specific questions and then after that we bring them on board and then we have their supervisors and managers check their progress, check their performance over a period of 4 years. We saw student achievement rise, we saw climate culture in schools rise and we saw the quality of the teaching force rise to the level that we were afraid it wouldn’t rise to because we were turning over so many. Luber: Wow! That’s really amazing. And so the same thing is happening in corporations as well as schools? Mike Lubelfeld: All across the country, yes. I personally work in about a 4 state area and I do very limited consulting of course because of my full time job but I’ll come out to 3 or 4 full training sessions a year and in between, I’m working on a research project, looking at different interview questions, looking at different training and leadership development so it’s a real nice process. It’s a very interesting career choice for anybody who’s got leadership skills, who’s got some managerial experience, who’s got HR, personnel, marketing, management…anybody that understands people and can really develop a team, project manager and is interested in diving a little deeper into the science and of course the art of recruiting and selecting. Luber: Very very interesting! What would you say – is there any common ground that you’ve seen amongst all the people who end up being successful leaders in the organizations that you’ve worked with? Mike Lubelfeld: They have excellent relationship skills. They really know and they really act on building relationships whether it’s with students or whether it’s with parents or whether it’s with members of the community or whether it’s with their own teams. They really have solid core foundational relationship skills. They know how to listen, they know how to speak, they know how to give advice, they also know how to have difficult conversations, which are necessary for a leader in any field. Luber: And is there a typical day for a path like this? Mike Lubelfeld: Well, yes and no. My particular role, which is very part time consulting, I do have a training program, a training guide if you will, and I follow the steps of that and I’ll go to my group, I’ll go to my group of leaders and I’ll have the same type of introductory activities on the same type of methods and materials and I’ll get evaluated each time so I get feedback. From their feedback, I can adjust or tweak the input, the delivery, the pace – but essentially it is a program – I helped design the program I’m currently using, which is really a treat and is something I’m very grateful for as well. Luber: And how much of this day is interacting with people versus reviewing paperwork and being isolated? Mike Lubelfeld: My part of the work is completely interactive with people, I would say 85-90% of the time if I looked at the whole year in terms of involvement and development. And maybe 10-20% of the time is individually studying individuals, studying paperwork, studying some reports. Luber: Huh! And then for someone who’s an introvert and just likes paperwork, maybe they’re almost like an accounting type of a brain, is there something here for them too? Mike Lubelfeld: Yes. Not the type of work that I do – not the role that I fulfill. However, there’s definitely room for the very analytical and quiet, more introverted person who can actually do some of the background and backend analytics with respect to the research. Anybody with a science background, a statistics background would be ideal for that type of participation in the organization. Luber: Huh! And how does someone break into this? If we have viewers who are thinking “I want to do leadership development consulting,” how do they get in? Mike Lubelfeld: Well they contact Careers Out There. Mike Lubelfeld: What they’ll do is there’s probably 5 to 20 really medium sized to large size selection corporations in the country who are practicing. You can do a regular Google search or a jobs – Monster, go jobs.com search for “selection and development of people” and you can cold call. You can cold apply and see if you’ve got the right skills and background and talent that the organizations are looking for. Or if your particular company has a consulting relationship with an outfit like mine, they can work with people like me or others who do this to get involved with the company. Sometimes it’s real referral – real informal – “hey so and so was at the training and they’re interested in learning more – perhaps they can get involved”. Or do like I stated – a cold call, just doing a job search and applying. Luber: And do you see – are a lot of the people in leadership roles like yourself – as a Superintendent, you are a professional leader already? And do you also see people who have like my background – they were a recruiter or they were in HR. Are those a lot of the types of people you see in these roles of leadership development consulting? Mike Lubelfeld: Yes – absolutely. We see people from the age range of the 20s to the age range of their 80s – really depending upon where they are in their lives, how they got involved, what part of the organization….everybody in between…it’s one of those very interesting sort of catch-all jobs or catch-all careers. Anybody whose got an interest in something related to selection, development, research, analytics, anybody can get involved. There’s a place in each of these organizations for anybody like that. Luber: Wow. So it sounds like all kinds of college majors can apply. Anything from a psych major to a poly sci major – really anything – it’s more just the skills that you would need to have to fit in. Mike Lubelfeld: Absolutely. And for people in college who are doing business internships – they can intern with a selection company and see if it’s right for them as well. Companies do offer internships in various parts of the organization as well. Luber: Wow – OK. And would they actually get to see these meetings take place between the consulting firm and the clients? Mike Lubelfeld: Yes they would. Luber: That’s great hands-on experience! Excellent. What would you say is the most rewarding aspect of this? Mike Lubelfeld: Helping others develop select talent and develop talent, helping others improve their system of selection, helping others make things better for themselves, going to the next levels of growth, the next levels of development, next levels of success. Luber: And what’s the biggest challenge? I’m wondering –is it getting the people to actually implement the advice? Mike Lubelfeld: Yes. You’re spot on, Marc. It’s getting people to have what I would call fidelity to the process. Or fidelity to the instruments. They may not like a particular question or 2, so to speak, for example on an interview. It’s not for them to decide if they can pick or choose – you’ve gotta take the whole package, the whole product, the whole program otherwise you cannot expect those results. So it’s really helping them see through the training experience that this is meaningful, it’s proven by scientific research, it’s backed up by decades of practice and it really has to be done the right way in order to get the right results. Luber: That makes perfect sense. How does this path tie in with your role as a superintendent? Mike Lubelfeld: Well my role as a superintendent and my role as an educational administrator allowed me and created the opportunity for me to follow this path. Because I engage with people who trained me in my organization on how to do it and through their training, consulting and mentorship and coaching, I was able to follow this path. So had I not been in the settings I was in and had the good fortune to meet these wonderful people, I may not be here today talking about this type of opportunity. Luber: Wow. And I want to ask a few questions that run with the theme of having 2 careers. And this might even end up being edited into a separate video of its own for people who are interested in having 2 careers. Would you say that you have the 2 careers because you just have all these interests and you want to bring these interests into your professional life? Mike Lubelfeld: Yes – I feel fortunate, I feel blessed, I feel like I’ve been given great gifts from wonderful mentors, wonderful people who allow me to practice the craft of leadership, practice the craft of training, practice the craft of administration and education – I’m very lucky. I feel very lucky for that. Luber: And so how do you fit both in? How does one juggle 2 careers and make both work? Mike Lubelfeld: Well my main career is a school administrator and what I did when I negotiated my employment contract is worked with my employers, the board of education, to see if they would support this…if they were interested in it. And I have a very forward-thinking, very progressive board and they do support this because they see the value added benefit for our organization. So with their permission, with their expressed consent, I am able to have this part-time job and pursue this part-time career as well. Luber: And what advice would you have for other people who want to incorporate multiple careers into their lives? A lot of times you hear about people where they say “my day job is THIS but I really love photography so I pursue my hobby of photography on the side as a hobby” as opposed to finding a career – a second career or job – as a photographer. In your case, you have 2 different jobs. What would you tell people who are kind of – they have other itches to scratch – and how to do it? Mike Lubelfeld: Well I’d say make sure they get permission from their employer – whether it’s public sector like mine or private sector like many. Make sure your day job, so to speak, will allow you to do this. And if they’ll allow you – if the people with whom you work and for whom you work – will allow you to pursue it, then by all means make sure you can fit it in with your family, your personal life and everything. If you can find that balance, if you can pursue it, I say by all means do it, making sure at all times you remember that y our day job is your number 1 priority and that’s where you owe your first allegiance. Luber: Right. And what about the fact that your 2 paths tie in with each other. Would you advise other people to do the same or do you think they can have 2 kind of separate, unrelated things going at the same time? Mike Lubelfeld: Gosh, I think that if you can balance it, you can fit it in, I really have seen some amazing people who do just that – they do photography or they do some coaching or consulting or a number of things and they’re able to fit it in. I think that anybody can make it happen. I guess one way to look at it it is Thomas Edison, you and me – we all have the same 24 hours and he created electricity so I guess we can do anything. Luber: Ha! That’s good – I like that. Well to kind of wrap us up, give us some keys to success combined with an action plan for those who want to go down this path. Mike Lubelfeld: If you’re gonna consult, my personal opinion, my professional opinion, is really believe in what you’re consulting about. Or believe in what you’re training in. If you really believe in it, and you’ve seen some of the results, you’ve participated in some of the studies, then by all means, train it like there’s no tomorrow and it’s got a passion – follow your passion. Be a leader. And be honest with everyone around you with whom you work so you don’t have those two careers cross paths – make sure the paths are parallel – they run very complimentary with one another. Luber: That’s great. Excellent advice for everybody. Mike thank you so much for joining us. Mike Lubelfeld: Thank you for having me. Luber: You guys – please leave your feedback in the Comments section – we want to know what did we cover well, what did we not cover well enough? If there’s anything else you want to know about, please let us know –we’ll be here to help you out. Absolutely. Thank you for watching – we really appreciate your time. I’m Marc Luber and look forward to seeing you again soon. Thanks for watching Careers Out There.